The Mindful Tails' staff offers the highest standards of service and measure their success by exceeding the expectations of clients--from hosting the "Ask the TTouch Practitioner" booth at pet adoption events, to hosting workshops, lectures and demos at various events and organizations, and to working with pet owners. The staff also works with a number of rescue and animal care groups, including: Angel's Gate Hospice and Rehabilitation Center for Animals; Bobbi and the Strays Animal Rescue; Juste Pour Les Animaux; Pets Alive Sanctuary; and other private groups, to socialize and/or correct behavioral issues in cats and dogs, as well as with aging, ill, disabled/special needs animals. Mary Cummings-Bruce, CTTP, IETP, APDT and Peggy Marino Marks CTTP, IETP, APDT are lifelong animal lovers whose homes have been open throughout the years to many wonderful creatures. 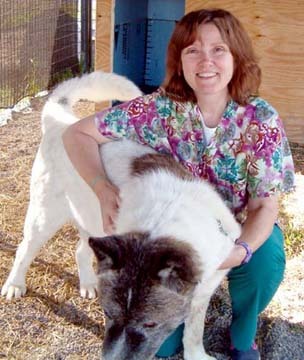 Their experience in animal care, rescue, shelter and hospice work has given them the tools to work with wellness and behavioral issues as well as with aging and special needs animals. As Guild Certified Practitioners of the Tellington TTouch Method of Training, Rehabilitation and Wellness, they can help you and your pet achieve lasting results. 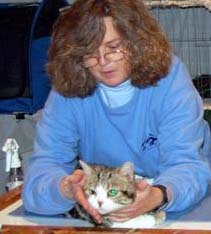 Mary is a writer and artist, and both are licensed Wildlife Rehabilitators, Red Cross certified in Animal First Aid and CPR, Reiki and IET practitioners. Mary and Peggy's corporate backgrounds in communications, marketing, publishing and event planning provide a fun mix, allowing them to be as comfortable with your cat, dog, rabbit, fish, bird, alpaca or lamb as with writing articles, giving lectures, or planning your next party! Mary and Peggy are also Founders/Directors of Tavi & Friends, a non-profit animal welfare organization that is dedicated to helping special animals with unique challenges. We a;so provide TTouch training to other shelters and rescue organizations staff and volunteers in the NYC/LI area.